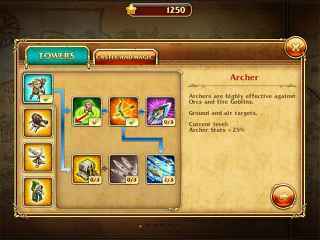 Free Download Toy Defense 3 - Fantasy Game or Get Full Unlimited Game Version! Perfect the skills of warriors, build defensive fortresses, and devise strategy to dominate the enemy’s army. Rid your lands of evil once and for all! In order to get advantaged of playing Toy Defense 3 - Fantasy full unlimiteg game version you must register the game. Face the fire - dragons are coming! Fantasy features a magical new world with dashing warriors, fearless archers, crafty goblins, and immersion in a magical atmosphere. Step into the role of a 10th-century commander: recruit and train your kingdom's warriors, wizards, archers, and healers to create a powerful army and destroy the enemy’s forces! Perfect the skills of warriors, build defensive fortresses, and devise strategy to dominate the enemy’s army. Immerse yourself in a medieval fantasy atmosphere and relish incredible graphics with an amazingly detailed medieval environment. Explore unique levels with non-recurring gameplay. Upgrade your warriors from peasants to knights and develop your own unique strategy with specialized tower power-ups. Defend your castle and show your courage to drive vile monsters from your lands. Rid your lands of evil once and for all! Develop your own unique strategy! Lead your army to the Victory in Toy Defense 2! Build defensive towers and save your village from invading monsters in this strategic thriller!